Steve teaches at various local schools and also from home and his students range from age seven to seventy four, beginner to intermediate. As with my playing, I enjoy teaching a wide variety of styles. I have a couple of different approaches, the ‘classical‘ route and a more informal style depending on the requirements of the student. Some people want to learn just for fun & some wish to take it further. 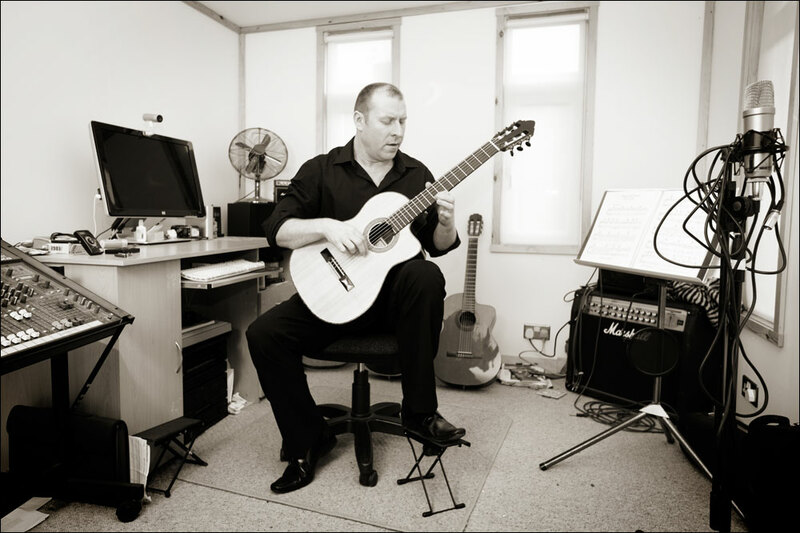 I often use the ‘Guitarists Way’ series for younger beginners and also follow the ‘ABRSM’ grading system for classical guitar. Aside from these well structured syllabuses I always encourage students to select their own pieces where possible based on the music they enjoy listening to because I believe this to be the most rewarding way to learn. Lessons are generally structured in blocks based around school term times and can also be available outside of term times as required.